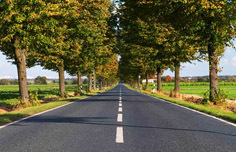 There are about 4 million miles of roadway in the U.S., of which 2.6 million are paved and 1.4 million are unpaved. Roadways account for one of the largest investments that agencies make and are perhaps one of their biggest assets. Protecting these investments can be challenging; pavements are aging, traffic has increased, funding is limited, and maintenance has been delayed. Furthermore, in many cases, basic information about the roadway is unknown. At the same time, the tool box of repair options has grown. How do managers know what repair to apply and when? 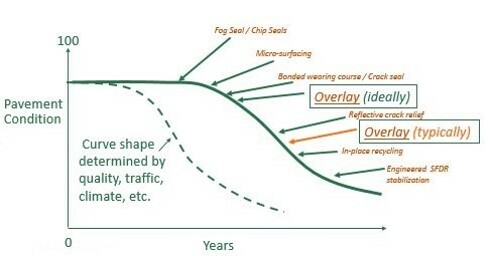 Figure 1 below depicts a pavement performance curve. As age increases, pavements deteriorate. As shown, there are now a multitude of repair options, many of which are unfamiliar to pavement managers. Due to funding, needed repairs are delayed; note the ideal time to perform an overlay vs the typical time an overlay is performed. When this occurs, performance is reduced. Further exacerbating expected performance are issues with quality or increases in traffic. TIERED CLASSIFICATION. Given funding constraints, it is difficult for pavement managers to maintain their entire system at a high level of service (LOS). Through the Local Road Research Board (LRRB) Systems Preservation study, Otter Tail and Freeborn Counties enlisted a tiered classification approach. High priority roadways -- major connectors with high ADTs -- will be maintained at a high LOS. These roadways will be more aggressively maintained (i.e. preventive maintenance techniques will be applied sooner). Mid-priority roadways will be held to a slightly lower LOS, and low-priority roadways -- those with very few vehicles -- will be maintained at a much lower LOS. This approach requires less funding, with more funding allocated to high priority roadways. NETWORK RIGHT-SIZING. Although a potentially cumbersome process, some agencies are finding relief through the right-sizing of their networks. Does a road with an ADT of 100 belong on the county highway system? Are there roads that lead to nowhere? Perhaps a one-time heavily traveled roadway now only realizes a few vehicles a day. The fewer roads there are, the less there is to maintain. PERFORMANCE MEASURES AND FUNDING NEEDS. Pavement management programs can be used to track system performance. They can also be used to communicate funding need. Following the collection of current conditions, agencies such as New Market Township and the St. Cloud Area Planning Organization (APO) are using current conditions to establish performance measures and targets. Knowing where they’re at and where they want to be, both agencies were able to summarize funding needs. Under Map-21, the St. Cloud APO will use this information to maintain a “state of good repair”, dictating funding allocation (either towards maintenance or towards future expansion). For New Market Township, funding needs are being communicated to their board and residents. Through this process, it is likely that additional funding options, such as assessments or bonding, will be explored. REVENUE SOURCES, PUBLIC EDUCATION. Counties in Minnesota have wheelage and sales tax options. Using a tiered system approach, Otter Tail County determined their funding gap. The gap was essentially the amount of funding needed to meet the goals established for each tier. With a gap of nearly $11 million dollars, the county used their pavement management program to demonstrate the impacts on the gap if the wheelage and/or sales tax options were passed. Through a series of town hall meetings, the county educated both the board and residents that the tax income certainly helps (reducing the gap to about $7 million), but does not solve the problem. Following the town hall meetings, the board successfully adopted the tax options with support from the public, who better understood the need. DO THE HOMEWORK, ELIMINATE THE GUESSWORK. When making a project-specific decision, it pays to spend some money upfront for testing. Sound maintenance decisions cannot be made through guesswork. Spending money upfront can answer a variety of questions related to pavement condition, in-place materials, and underlying conditions. Knowing these attributes helps identify the most cost-effective solution that ultimately prolongs pavement life. It also helps eliminate construction problems in the field. Rehabilitation project costs can quickly escalate if field conditions are not what was anticipated. ELICIT THE HELP OF AN EXPERT. It used to be that preventive maintenance came in the form of crack sealing or seal coating. Ongoing research and new technologies have led to other options, such as microsurfacing, or ultra-thin bonded wearing courses. As a pavement manager, it may be difficult to keep up with new technologies, as well as knowing the best conditions for each repair option. Working with an expert to select the most cost-effective, applicable repair technique can reduce the overall life-cycle cost of your pavement. Amy Grothaus is an Associate Principal from the Pavement Consulting Group at Braun Intertec. She can be reached at 651.261.7122 or via email at agrothaus@braunintertec.com.